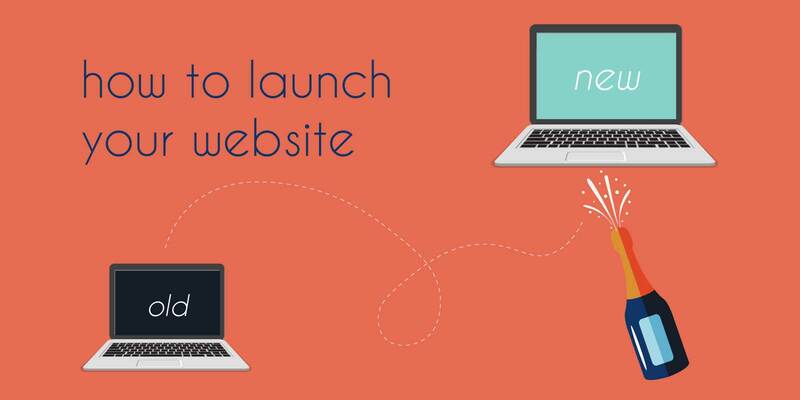 Prepping for your new nonprofit website launch? How to get the word out. You’ve been stressing about this nonprofit website launch for months. There was so much time, money and energy spent, all in hopes that this website could have a major impact on your nonprofit. But you launched and nothing really seemed to change. In fact, your traffic has gone down! First off, read about how this dip in traffic is totally normal and there are ways to help you minimize this tendency. Secondly, it’s likely your frequent visitors have seen your redesign but didn’t have a way to tell you, so take comfort in that. For the rest of the world, they need to be told about your nonprofit website redesign to take the time to come review it. How do you do this in a tasteful, effective manner? Launching a website is exciting from your perspective, but that’s because you’ve been part of the story behind why you needed a new site. If you could include your audience in on that narrative, they’ll likely feel more of an emotional pull towards the project. They could sympathize with your prior pains and be relieved to see them alleviated. As they navigate the site, they’ll be more curious about the various features as they see how problems were solved. You can explain this story via an email, blog post, infographic, video or a combination of the above. Everyone wants to feel like they’re a part of something exclusive. Your nonprofit is the same; gather a list of your biggest donors, most active volunteers and community members. Send out a note introducing your new site, stating that you’d like them to be the first to try it out. Walk them through why you made the strategic changes you did so they can feel like they’re included in they have insider information. This will get you a good amount of visits right from the start and could make these supporters feel excited to share your site with friends and visit it more frequently. It may get tiring to constantly bring up your new website launch at all your meetings and during phone calls, but in doing so, we promise it makes a difference. When people hear someone talk about a project that has tangible results, they are more likely to check it out. People like to see others excited about their work.